Let’s start with an update that’s already under way (and arguably the biggest and most exciting we’ve had for a while). We all know how frustrating it can be to sell your product or service with limited characters – which has been the case with Google AdWords for a long, long time. However…*cue the drum roll*…welcome to Google’s new Expanded Text Ads! You can write two headlines for your ad – yes really, two! Each with a limit of 30 characters. There is now one line of descriptive text rather than two, with a maximum of 80 characters – compared to 70 characters in total before the update. Just imagine what you can do with these extra characters! More text = more alluring ads, as well as an increase in ad visibility. Another thing to note – there is a slight change to display URLs as well. AdWords will calculate these URLS using your landing page details, to ensure accuracy. Then, the advertiser has the option (which we would recommend), to customise one-two paths for optimisation purposes. Are the extra characters having an impact? Every year seems to be Google’s ‘year of the mobile’, and as a population of smartphone users, we all use our phones to browse the internet. A lot. In fact, according to Hosting Facts, over half of global internet users go to browse the web on mobile (52.7% to be exact). So, you can be rest assured that Expanded Text Ads will also look great on mobile devices. What are your thoughts on the Expanded Text Ads? Are you excited? And, even more importantly, are you ready? All PPC marketers need to take advantage of this new update and increase their ads’ characters ASAP. Oh, and don’t forget that all-important quality score! The higher that is, the higher your ads should appear. Are you a part of the one billion users on Google Maps? Don’t we all use it to find our nearest shop or hairdresser? 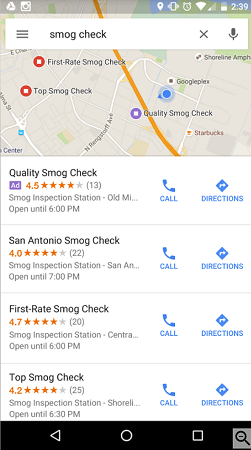 Well, you will be pleased to hear that Google has now unveiled local search ads on Google Maps. Location-related searches are always on the up, so Maps is a perfect base to drive even more traffic to your site. In these new ads, brand logos and offers appear directly on the map’s surface, rather than alongside it only. And, the ad is highlighted in purple, drawing even more attention to your business. Google is also giving a makeover to local business pages, so you can focus on promotions and users can search your inventory. Targeting is a little more complex – very similar to display advertising actually, with ad placements based on browsing history, similar users, time of day, interests and behaviours. Currently, bid adjustments are all we can do to optimise mobile PPC ads. However…Google has been working hard to change this. Later this year, you will finally be able to create separate mobile, desktop and tablet bids (or make them dependent on each other). This gives businesses so much more flexibility and highlights the significance of mobile advertising strategy – it’s really important. We can’t wait for this change! Are you short on time? Perhaps you need an even faster way to tailor your display ads. Soon, all you will need to do is give Google a URL, headline, description and image, and they will do all the hard work for you. Ads will change for the better, dependent on the website or app, in a range of sizes. This update is still in testing stages, but Google should release it officially in the coming months. Currently, new keywords are given a default Quality Score of six. This adjusts accordingly when enough performance data is available. However, from 12th September, new keywords, or those with limited traffic, will receive a quality score of null. Don’t worry too much, though – this won’t have an impact on auctions or the way ads are delivered. So, what’s the point I hear you ask? 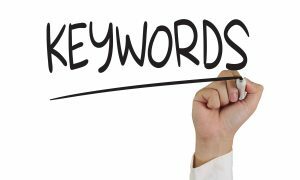 Google believes that a null Quality Score will give users a better representation of keyword performance. When the change comes into action, Google will exclude null scoring keywords from reports. But what if you still want to see their performance data? AdWords will also introduce a new option (if you wish) to include these keywords in your reports. Nothing too major, but it will help marketers focus on the key terms that are driving traffic to their site. Google are presenting an incredible mixture of changes this year, both big and small. Which ones do you think will improve your AdWords campaign? 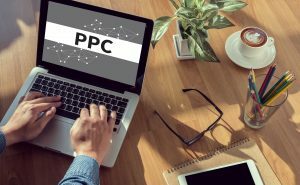 Get in touch with our PPC experts today.